Cars which have an electric motor running alongside an engine are known as parallel hybrids. 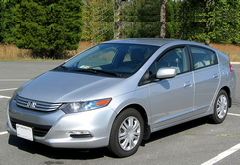 An example of this is the Honda Insight. These type of cars require a smaller engine than normal and this is assisted, as and when required, by the electric motor. With a series hybrid there is a small engine which acts as a generator to charge the battery and there is an electric motor which feeds off the power from the generator and the battery to drive the car. This arrangement needs a needs a bigger electric motor as the engine cannot assist in powering the car. Some cars such as the Toyota Prius use a combination of the Parallel and Series techniques. The Toyota Prius is full technology, but the centre piece is the Hybrid Synergy Drive (HSD). At it's core is a small device known as the Power Split Device, or PSD. The PSD is a revolutionary new planetary gear set thateliminates the need for a normal stepped gearbox , and also eliminates the feeling of power surges as the accelorator delivers more fuel to the engine of an ordinary petrol powered car. It basically performs as a CVT (continuously variable transmission) but with a fixed gear ratio. 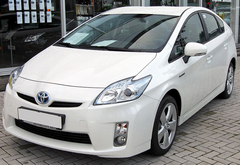 The Toyota Prius has an internal combustion engine (ICE) which is quite small for a car of this size (1300 kg). This is only possible by the additional electric motors and battery, which assist the ICE when more power is required. A normal car, with an engine geared for high acceleration and negotiating steep climbs, runs its engine with quite low efficiency. Optimum efficiency normally occurs at around 50% of the engine's peak power output.The use of a small engine in a modern hybrid car is referred to as "engine downsizing". 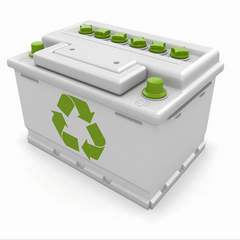 Hybrid cars can reach a fuel economy in excess of 100mpg. We can also diagnose Air Bag and ABS faults.